In October of 2017, the Boy Scouts of America announced a decision to let girls join their organization. Officials have worked out the details, printed books for them, tailored the uniforms for girls and the new generation of scouting has begun. 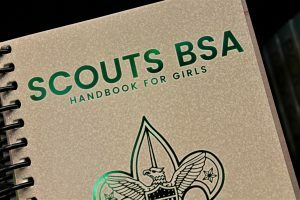 BSA officials have worked out the details of girls in their organization by new printed books just for the girls and tailoring the uniforms for them. 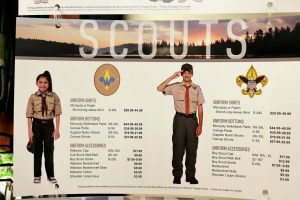 BSA claims girls have been trying to get into the Boy Scouts for years. The boys organization allows week-long scout camps in the summer, camping once a month in different locations and earning badges in more than 100 skills. “BSA claims girls have been trying to get into the Boy Scouts for years,” BSA literature said. Stephan Eborn, the BSA field director housed in the Logan BSA office, said girls are joining the Boy Scouts of America in Cache Valley. They will be holding their first meeting on February 13 at the scout office, located at 913 S. 100 West in Logan, from 7:30 until 9:30 p.m. The Cub Scout girls will be meeting at Zootah at 6:30 p.m.
Eborn said they have set up Boy Scout Troops at both ends of the valley and the numbers are growing. BSA has tailored the uniforms for girls as the new generation of scouting begins. The first girl Cub Scout dens started in May 2018, he said. The girl’s troops are segregated from the boy troops. All the requirements are the same, and the books are the same, except girls’ books have wording and pictures relating to girls, separate from the boys. Eborn said the council is in great financial shape, the council owns all of their camps and are retrofitting the camps to accommodate girls. The new girls troop, starting in the back from left to right: Kent Bair, Kate Guymon, Gabrielle Eborn, Annika Eborn, Stephen Eborn and Bart Eborn. Front left to right: Angie Bair, Candice Eborn, Kate Eborn, Emily Bair and Sophie Eborn. Eborn said he is excited that everyone, both boys and girls, will be able to earn the Eagle Scout Badge and learn the leadership skills the program has to offer. Nationally, there are 80,000 girls enrolled in Cub Scouts. Anyone interested can contact the Scout Office by calling (435) 752-4278 to see if it is the right fit. I certainly applaud the opportunity for these girls to enjoy scouting with an eye on the Eagle.